When the temperature drops, keeping your home warm and toasty can be a challenge. Sure, you could crank up the furnace or get a few space heaters, but who wants to deal with having to pay massive gas and electric bills? Keeping your home warm during the winter months without breaking the bank may seem like an impossible feat, but we have some good news. There are several ways to stay warm and comfortable without spending a fortune, no matter how low the temperature dips. 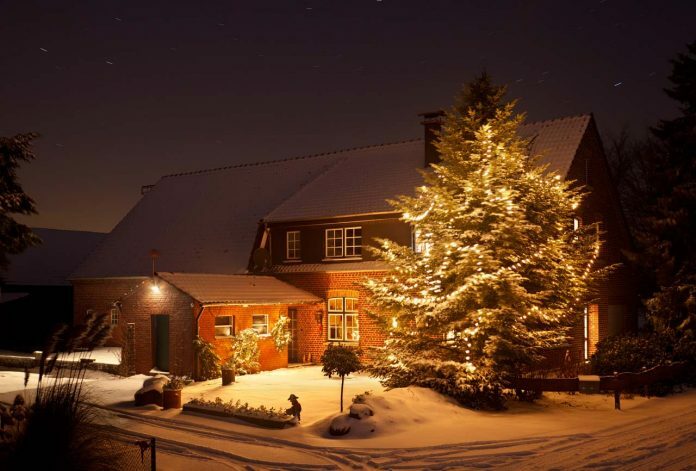 Here are just a few ways to keep your home warm in the winter months without breaking the bank. Crank up the thermostat to stay warm and face crazy high bills or turn it down and freeze. It seems like a lose-lose situation. With a programmable thermostat, however, you can crank it up when you need it and turn it down when you don’t. A programmable thermostat enables you to adjust the temperature to different levels at different times of the day. If you are, for example, away from home for about nine hours every day for work, you can set your thermostat at a lower temperature during those hours. Then, you can have it automatically start warming up again before you return home. You can also use a programmable thermostat to turn the temperature down a few degrees while everyone is sleeping. In short, a programmable thermostat allows you to keep your home nice and warm while you are home and awake without spending a fortune to keep it at that temperature all the time. According to Energy.gov, you can cut your annual heating and cooling costs by up to 10% by simply lowering the thermostat by 7 to 10 degrees for 8 hours per day. 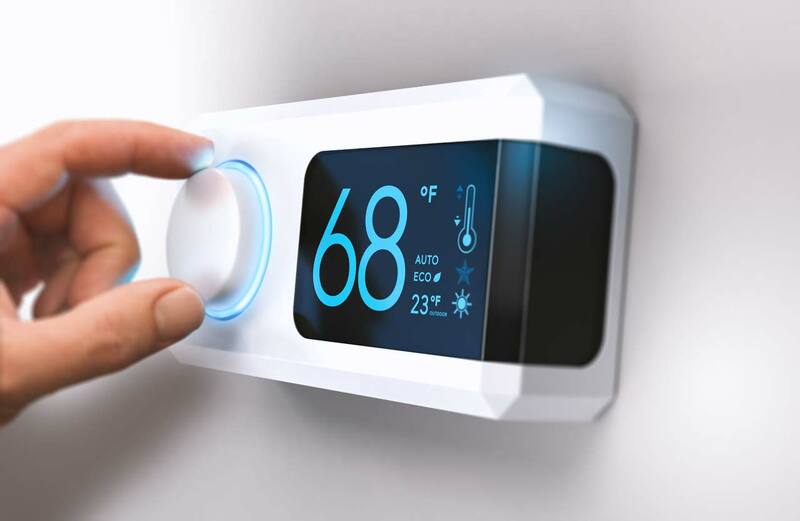 Some energy providers even offer rebates or free programmable thermostats to help their customers reduce their energy consumption. These devices work great during the summer months, too, so they are well worth the investment even if you have to pay out of pocket. 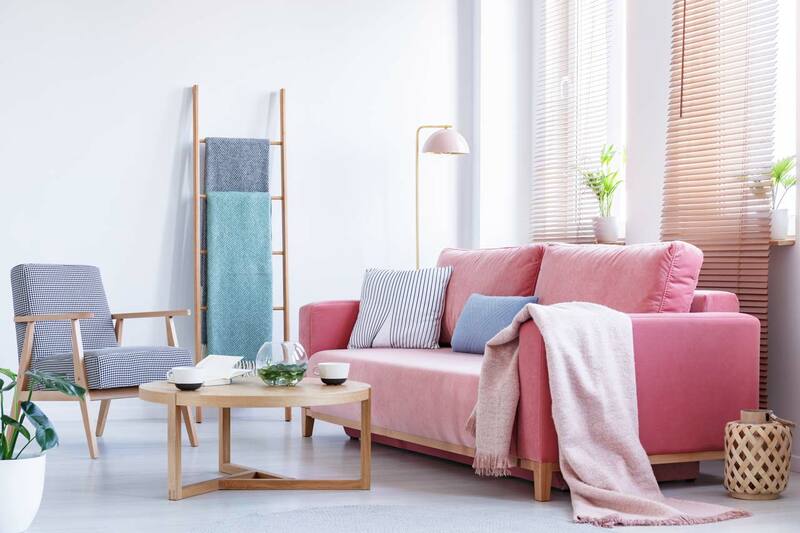 For starters, ditch the sheer curtains and replace them with thick, insulated ones during the winter months. They may not look quite as stylish, but they will definitely help you stay warmer. In the evening (and on those super-cold, dreary days), keep your curtains closed. On bright sunny days, open them up to let some of the warmth from the sun in. Believe it or not, having the right curtains and opening and closing them at the right times can make a huge difference. The windows in your home can be a huge source of heat loss. They can also let in a lot of cold air. Take a close look at the casing around each window on the inside of your home. If you can see cracks where the frame surrounding your window meets the drywall and the window itself, add a line of caulking. Sealing these cracks makes a huge difference when it comes to keeping warm air in and preventing drafts. Take a look at the weather-stripping, too, and replace as needed. There should be a tight seal wherever weather-stripping is located around your windows. Check on all sides of the sash, along the window channel’s edges, and where the operating sash closes and opens. While you are at it, take a look at the weather-stripping on your doors, too, and replace it if needed. Everyone loves a comfortable blanket—especially when the temperature plummets. Stay warm and toasty without cranking up the thermostat by using blankets as accessories throughout your home. Drape a nice fluffy blanket over your living room sofa, stack a few extras on your bed, and tuck a few away in closets just in case. Just seeing them scattered throughout your home will make it “feel” warmer and cozier, and they will be there when you need something to wrap up in. Using your oven tends to warm up a room, so winter is a great time to do some baking. It is also the perfect time for preparing hearty meals like roasts that take a significant amount of time to cook in the oven. When you are done cooking or baking, leave the oven door open a crack as it cools. This allows some of that glorious heat to spread throughout the rest of your home. Just be careful if you have kids or pets, to ensure that they do not get burned. If you have a fireplace, using it to help warm your home can keep you comfortable without driving up your gas or electric bill. Have it serviced regularly to ensure that it is in good working order, and use it when the temperature drops. Arrange your furniture so that the fire provides just the right amount of warmth to the best seats in the house. Of course, don’t place anything too close to the fireplace, as doing so is a fire hazard. When the fire dies down, remember to close the doors on the fireplace (if you have them), and be sure to shut the damper once the embers have cooled. Fireplaces that are decorative or unsafe to use should be sealed off thoroughly. This prevents warm air from escaping your home and keeps cold air out. 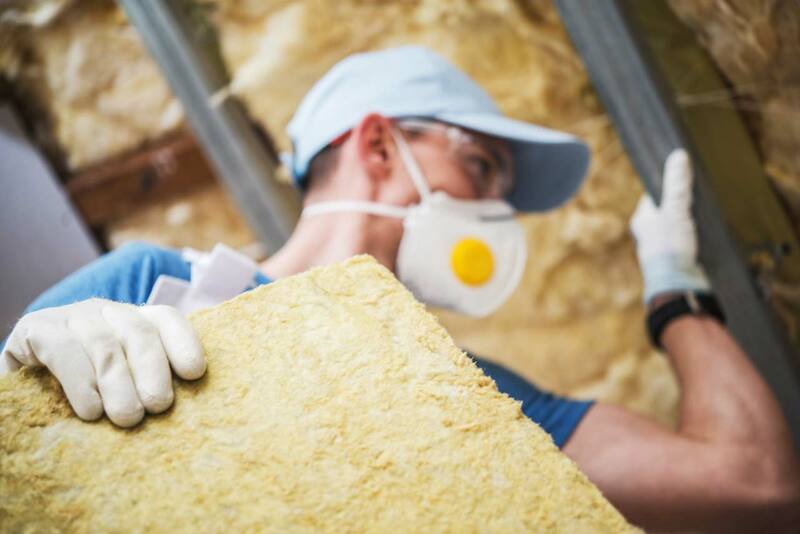 Heat rises, so, without proper insulation, you could be losing a lot of warm air through your attic. Take a look at the insulation. If you aren’t sure what to look for, enlist the help of a professional. As a general rule, if you are able to see your floor joists, you need more insulation. If you can’t see them, you are probably okay. If your attic isn’t adequately insulated, install additional insulation to help keep warm air in your living areas where it belongs. Fending off winter’s chill doesn’t have to mean facing outrageous gas and electric bills. With the tips listed above, you can stay comfy and warm all winter long without breaking the bank. Previous articleHow does acupuncture help in neck pain? Jeff King serves as Vice President of Club Furniture (One Source Plus, Inc.). Jeff oversees all marketing related functions from the Charlotte, NC headquarters. When not busy playing bass guitar... Jeff enjoys reading, playing tennis, and spending time with his wife and two children.